Just a quick note: I’ll be attending the local Lexus meet at the Lexus of Richmond Hill dealership in Toronto tomorrow — if you’re in the area, I hope to see you there! LF_EH: Wish I could go Have fun! 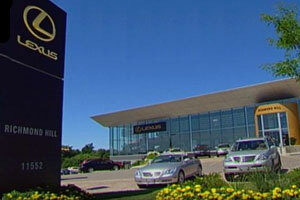 krew: Yeah, I really love the Lexus Canada dealership design.